Having missed out on an overseas trip last summer, I was itching to make up for it during the winter of '03. With some good fortune and some clever re-arrangement of vacation days, I was able to manage to set aside 3 weeks for my next adventure. 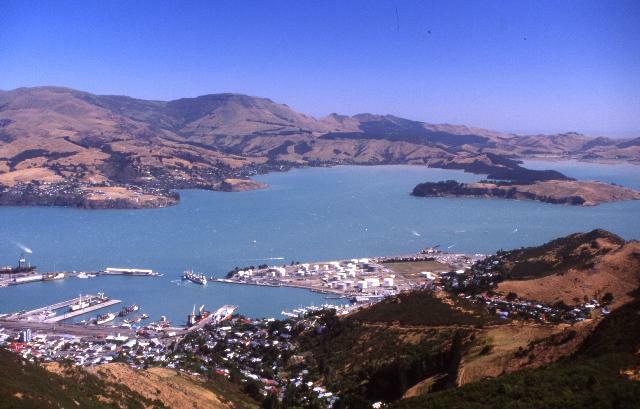 The destination was chosen as New Zealand as it is one of the few places enjoying summer at this time of the year and at the same time not sounding too outlandish to my new travel partner - my wife - making her debut trip. Like many others, I underestimated the country and believed that I could knock it off with enough time to squeeze in Australia and few other pacific islands. As my research progressed, my itinerary shrank from "Nzl and beyond" to more realistic "south central south island"! 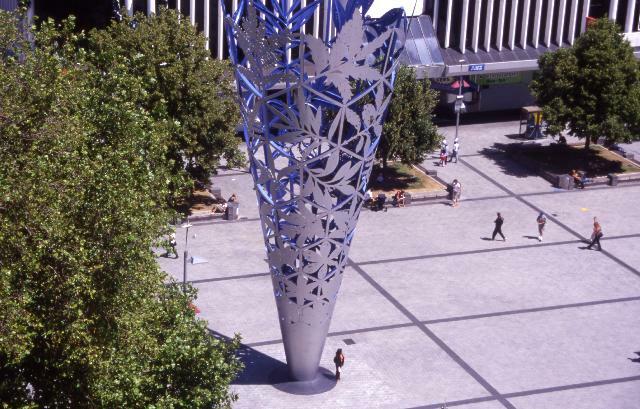 Our trip started in Christchurch, the largest city in the south island and thanks to its location, one of the few places in the island to enjoy a "draught" during summer. Due to the near 24 hour time difference, jet-lag wasn't a problem and we were able to start our sight-seeing as soon as we landed. 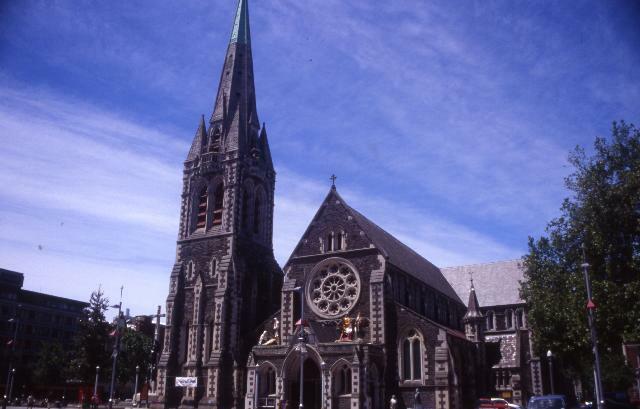 Christchurch Cathedral, located at the centre of the city, was our first destination. Built in 1864, it was quite impressive from both inside and the outside. We also climbed the 134 steps to go up the spire to have a look at the city skyline which wasn't very impressive, by the by. We then headed onto the top two tourist traps of the city - the gondola (the rope-way and not the Venetian boat) and the International Antarctic Centre - only the former being worth the effort. Christchurch was also the place where our trip ended 21 days later. On the last day (thanks to the storm at Mt. Cook) we had enough time to check out the remaining highlights of the city viz., the Arts Centre, the Canterbury Museum, the art gallery and the Willowbank Wildlife Reserve. The art gallery and the museum, especially its stuffed bird and maori sections, were outstanding and I was left ruing not allocating an extra day to fully explore them. Willowbank wildlife reserve, on the other hand, is more zoo than a reserve, but an excellent place to stop to catch a glimpse of the elusive kiwi - the bird and not the people or the fruit. On a final note, I should definitely mention that it was a great privilege to travel in these parts of the world with the Indian cricket team doing well Down Under, a privilege many Indians did not enjoy for close to two decades now. The fact that the Indian team has been the first team in a decade to stand up to the mighty Aussies did not go unnoticed in New Zealand. Although we had done nothing whatsoever to deserve any recognition for it, we were being congratulated everywhere for the performance, of course with a friendly reminder that it was all due to a kiwi coach! !